It's 02:08 in Ben Lomond, USA right now. Landscape View A live view from Ben Lomond, California, with current weather data. Santa Cruz, California: Ocean Street, 8.4 miles away. Capitola, California: Surfcam Capitola, 10.7 miles away. 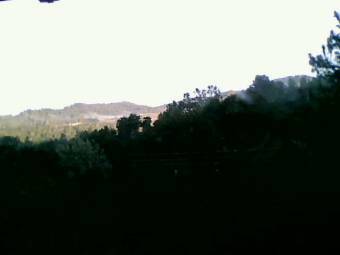 Saratoga, California: Saratoga Weathercam, 12.6 miles away. Cupertino, California: Cupertino Civic Center Plaza, 16.4 miles away. Cupertino, California: De Anza College, 16.4 miles away. Sunnyvale, California: Webcam Sunnyvale, 19.5 miles away. Sunnyvale, California: Megapixel Webcam Sunnyvale, 19.5 miles away. San Jose, California: View of the Skyline, 19.6 miles away.